Nothing better than a good local beer, right? Boston Beer Works is a local eatery and brewery that is situated right near Fenway Park as well as two other locations. The very first thing I look for in a blueberry ale is that first waft of blueberry and ale smell. This beer delivers big from a distance you can smell that unique smell. It is a low bitter beer with other a IBU of 16. 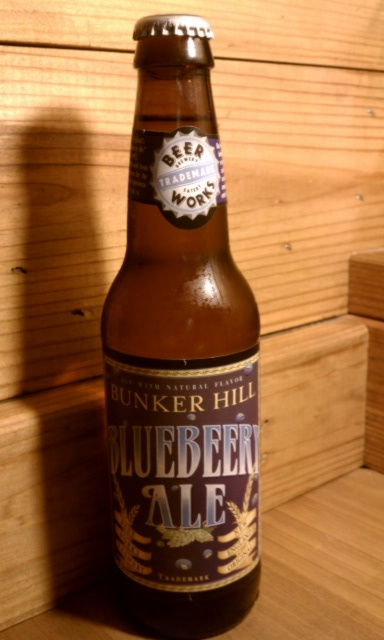 It is a New England staple beer usually garnished with a handful of fresh blueberries. Tonight I am just drinking straight from the bottle. Blueberry ale is a drink that should be enjoyed sparingly because the strong fruit flavor can start to sting your mouth. The great thing about this beer is that it holds its carbonation very well. The ale flavor is not overpowered and the sweetness is only slight and quickly moves to a more spiced flavor. The overall mouth feel is cooling and refreshing and light. Very glad to finally have tried this beer. Question of the Post – What’s your favorite local beer brewery?